This home has many upgrades and is fully furnished with modern furnishings with cute rustic accents. There are bay view windows throughout the length of the ocean view side of the home for ocean, sand, and white water views. This includes big windows in the kitchen, dining area, living area, and the master bedroom. Both the master bedroom and the living area have access to the ocean view patio, which is large enough for a barbecue, and to have family and friends together. The kitchen has excellent ocean views, and is large enough for several to cook together. The kitchen has a stylish Italian glass tile back splash, and custom dark stained maple cabinets to compliment. Also, the stainless steel appliances include a dishwasher, refrigerator and a flat top stove. The granite counter top island is the center piece of the kitchen and has plenty of space for bar seating. The dining is set next to tall bay view windows and is large enough for a table of eight. Also, the living area is a part of this great room, with access to the terrace, white water ocean views, and plenty of space for comfortable seating and entertaining. The master bedroom has tall windows for large views, and a glass patio door leading to the patio. The master bathroom has double sinks unique to this home, maple cabinets, and a nice tiled trim for accents in the shower. You're very own Cabo style rock arch. ROSARITO BEACH, BAJA CALIFORNIA, MEXICO—Known for decades as one of the hot surfing spots on the West Coast, Rosarito on Sept. 27 will add another popular beach activity to its attractions with a sand sculpture contest. Baja Sand 2009 will be held from 10 to 6 p.m. that Sunday in front of the Rosarito Beach Hotel. 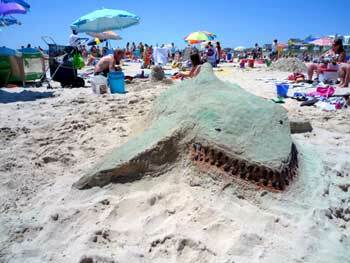 The exhibition and amateur competition is a prelude to the first full-scale sand sculpting competition which is scheduled for May 2 of 2010. Half of the profits from the 2010 event will be donated to the Rosarito Boys & Girls Club. “We’re very excited about this inaugural event and think it’s a perfect fit for this city with its miles of beautiful coastline and tradition of artistic creations,” said Rosarito Mayor Hugo Torres. Registration and further information is available at info@rosarito.org, rosaritotur@baja.gob.mx or by calling 661-612-0200 or 661-612-0396 in Mexico or 619-730-1871 in the United States. The creation of elaborate sand sculptures is a popular event on beaches throughout the world, including an annual competition in Imperial Beach which attracts some of the best global teams and hundreds of thousands of fascinated spectators. Raul Aragon, Rosarito’s delegate from the Baja State Secretary of Tourism office, an organizer of the event, said that planning has been going on for month to make Baja Sand 2009 a memorable and successful attraction. The event will follow by one day the 30th-year edition of the Rosarito-Ensenada 50-Mile Fun Bike Ride, which attracts thousands of riders, and the same day as the Rosarito chamber of restaurants annual steak and lobster festival. Although this event is an amateur competition Archisand, one of the top teams in the world, is being brought in to give an exhibition the day of the contest. Archisand, a team of architects and craftsmen, was founded by in 1989 by Greg LeBon. It has won the 10-man division of the U.S. Open at Imperial Beach six of the past nine years. More than 300,000 people attend that annual competition. To help amateurs prepare for this year’s competition, Rosarito sand sculptor Raul Ocegera will give workshops this Saturday and Sunday from 9 to 1 on the beach in front of the hotel. 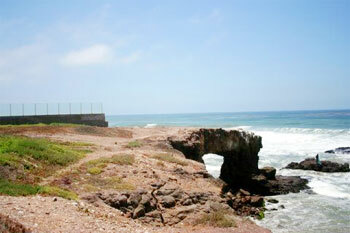 Browse for Rosarito Real Estate, Baja Real Estate, Ensenada Real Estate & Mexico Real Estate. 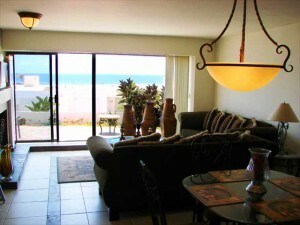 Located in the middle of the private community of Calafia Paradise, this 2 bedroom, 2 bathroom ocean front villa is probably the best deal in Rosarito Beach. Listed at $200,000 dollars it will not last for very long. This beautiful villa comes fully furnished, with wrought iron dining table and decor for that special Baja touch. Full appliances like a gas range with stove, microwave, refrigerator and washer. The kitchen features a granite counter top with wrought iron stools. The living room faces the ocean and it has floor to ceiling windows which exit to the back patio, perfect for a grill or a barbecue to enjoy the beautiful Baja weather. It also has a beautiful framed fireplace. The Master bedroom features an ocean view and beautiful wrought iron furnishings. The second room faces the front of the house and it has sliding door closets. Both bathrooms are fully equipped and have beautiful Baja tile. This villa has a covered garage for one car. Calafia Condos Resort & Villas features a diversity of amenities like a semi-private sandy beach tucked away in a cove, ocean-view pool, multiple spas and sundeck, tennis, basketball and volleyball courts, 24-hour manned security, gated complex, meeting room, cean front club house, indoor Jacuzzis, barbecue area, sauna, gym, steam room, cable TV and many other. 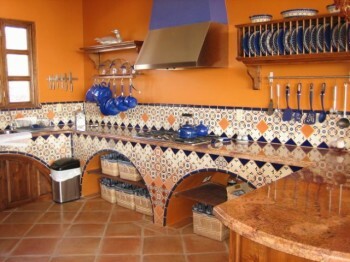 Mexican Talavera tile roots date back to 15th century Spain. Many of the designs and patterns can be traced back to Chinese and Philippine origins while even older variations of this art form date back to 8th century Arab culture. During the middle ages, craftsmen in Italy began experimenting with glazes and as a result many new colors were developed. When the Italians introduced the unison of the Arab, Italian, and Asian motif during the 15th century to Spain the Talavera ceramic was born. In turn, following the Spanish colonization of Mexico, the Spaniards introduced the new ceramic and Mexican artisans adopted it. It’s often difficult to visualize what a particular pattern will look like once it is installed. In fact, the true beauty of Mexican Talavera can only be appreciated when the tiles are placed side by side and a pattern is created. Visitors to 42037 Mision San Diego in Mision Viejo Baja are often impressed by the hundreds of colorful tiles, as well as the other architectural crafts, which fill this Spanish Colonial Revival style mansion. Tile is found in nearly every room of the house, either as baseboards, stair risers, fireplace surrounds, wall niches, or window seats. If you want to appreciate a gorgeous New Ocean view Mexican hacienda style mansion only 35 minutes south of the border just call or email Miguel Sedano (619-200-7408) for an appointment. 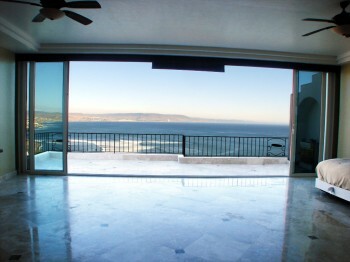 Browse for more Baja Real Estate, Mexico Real Estate, Rosarito Real Estate or Ensenada Real Estate. 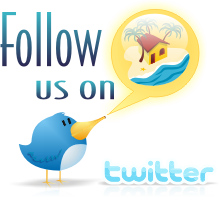 Premium luxury 5 bedroom, 4 bathroom fully furnished home available for rent in Las Gaviotas. Take advantage lf the current Baja real estate opportunity to lease this spectacular ocean view home for a bargain price of only $2150 USD monthly for an annual contract (daily rates available). This house has it all from a huge deck overlooking the whitewater surf, an open great room fully furnished, granite kitchen counters, nanny’s quarters and parking for 3 cars in the garage and covered car port. Want to bring along your 36 FT RV. This house can accommodate it inside the covered parking area with full hookups for your traveling guests. 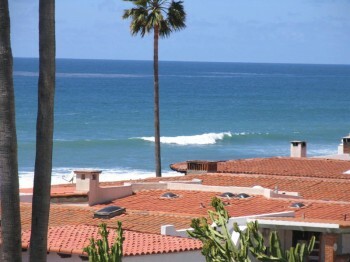 This home in Las Gaviotas is worth well more. Don’t forget the ocean front pool and new gymnasium. Take advantage of this limited time opportunity. Full commission to the broker that gets it done. TIJUANA — About 1 million adult Californians seek health care in Mexico each year – and that figure is likely growing as the recession expands the ranks of the uninsured who are drawn to cheaper care south of the border, said the lead researcher of the first major report on the topic released Tuesday. These people live from the Bay Area to San Diego County. Most come to Mexico for prescription drugs and dental care, and a smaller number go for surgeries. Beyond finances, other factors prompting individuals to head south include language and cultural barriers. Living within 15 miles of the border also greatly increases the likelihood of someone obtaining health services in Mexico. Angela Tapia, 45, of San Ysidro crosses the border several times each year to see her gynecologist. She also had back surgery in Tijuana a decade ago. Roughly half of the cross-border patients are Mexican immigrants, a statistic that might challenge the popular notion of Mexicans burdening California’s hospitals and clinics by receiving all of their health care on this side of the border, said UCLA public health professor Steven Wallace, lead author of the new report. Approximately half a million U.S. citizens living in California also seek health services in Mexico, Wallace and his UCLA colleagues found. 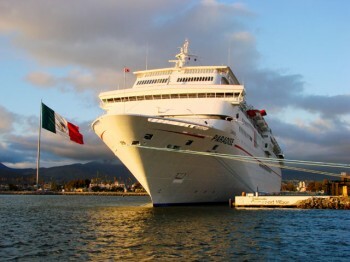 Altogether, about 4 percent of adult Californians traveled to Mexico for some type of medical care. Wallace’s study was published Tuesday in Medical Care, a journal for the American Public Health Association. He and his fellow researchers based their analysis on data from the 2001 California Health Interview Survey, which questioned more than 55,000 random households across the state. The wide-ranging survey, conducted once every two years, is funded by a coalition of agencies and groups including the state Department of Public Health, the National Cancer Institute and the California Endowment. Those done since 2001 have not asked about accessing health care south of the border. Wallace’s group was the first to delve deeply into the statistics on medical treatment in Mexico. Previous research relied on anecdotal accounts or small localized populations. The cross-border trend likely will intensify as the number of Mexican immigrants living in California increases and the recession costs more people their jobs and health insurance coverage, Wallace said. Between 2001 and 2007, the population of Mexican immigrants in California grew by 756,000 to 4.6 million, according to the Center for Immigration Studies in Washington, D.C. The UCLA researchers found that more than 13 percent of Mexican immigrants traveled to Mexico for care, with the largest number visiting dentists. Such patients make up the diverse range of U.S. residents who visit the Bartell Dental Clinic on Avenida Revolucion in the heart of Tijuana’s tourist district, said Dr. William Bartell Jr.
“Probably 95 percent of my clientele are self-employed or their jobs don’t provide any dental insurance,” he said. The clinic, which has a Web site that targets Americans, sees about 10 patients a day – nearly all from north of the border. That’s enough to keep three full-time and several part-time dentists busy, Bartell said. Mexican immigrants who lived in California for less than 15 years were less likely to cross the border for care than those who had been in the country longer, the UCLA report said. Many shorter-term immigrants are undocumented, so they face risks every time they leave the United States and try to return. 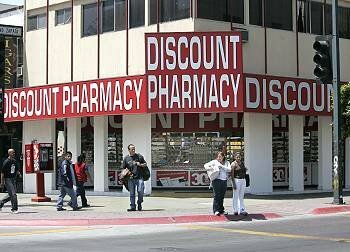 Among all other Californians, the top health-related reason for going to Mexico was to purchase prescription drugs. Much attention has been given to doctors performing cosmetic and weight-loss surgeries on Americans in Mexican cities such as Tijuana. But Wallace found that only 7 percent of the 464,000 non-Latino Californians who sought treatment across the border went there for medical procedures, including surgeries and treatments for serious illnesses like cancer. Health insurers offering relatively low-cost coverage plans that allow Southern Californians to receive care on both sides of the border should be encouraged by the study’s findings, Wallace said. In fact, several of the largest players in the cross-border insurance market have recorded steady growth in recent years. Membership in Health Net’s U.S-Mexico plan has reached 40,000, up from 23,700 in late 2007, said Brad Kiefer, a spokesman for the health maintenance organization. Sistemas Medicos Nacionales S.A., the only Mexican HMO licensed to operate in California, now has about 21,000 members in San Diego and Imperial counties, said Christina Suggett, the company’s chief operating officer. 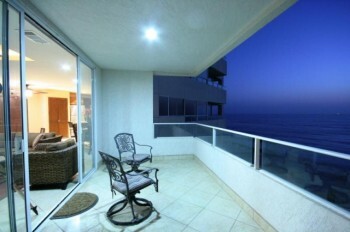 Broswe for Rosarito Real Estate, Baja Real Estate and Mexico Real Estate.